Are you looking for an alternative to Cisco Stealthwatch? Or perhaps researching the best tools? Network detection and response delivers the most comprehensive insight into hidden threats and empowers incident responders to act with confidence. Network traffic analysis is a core technology for detecting hidden threats, but there are several decision criteria that you are likely to consider, including the ones below. How rich are the analytics? Can the analytics import indicators of compromise (IoCs)? What evidence is delivered by the analytics? Does it work consistently for on-premises and cloud workloads? What level of automated correlation is delivered? What other cybersecurity tools does it integrate with? Network Traffic Analysis is a new market, with many vendors entering since 2016. Gartner analyzed the key NTA vendors to be considered by security and risk management leaders. You can download the Gartner Market Guide for Network Traffic Analysis here. 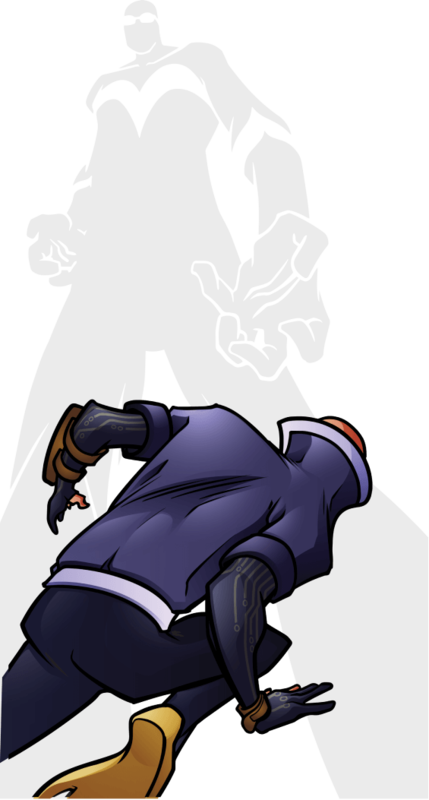 We also created detailed comparisons between Vectra and Darktrace and ExtraHop. NetFlow is a network performance monitoring tool re-marketed for security. NetFlow shows that a connection was made, but says nothing about what the connection was used for. It’s like a cell phone bill: it can tell you that a call was made and how long it lasted, but nothing about what was discussed. While this level of visibility can be very helpful for network performance monitoring, it’s not enough for security. For security, you need to know, for example, whether an SMB connection was used to authenticate a user, mount a share, or execute code. NetFlow can’t tell you that, and it makes it ineffective both for visibility and detection. Cognito delivers high-fidelity network metadata – knowledge of what’s happening in every conversation – enriched with context specific to security applications, e.g. the names of hosts, existence of beacons, and the privilege level of accounts. The Cognito platform from Vectra applies optimized AI techniques – supervised, unsupervised machine learning and deep learning – to precisely identify attacker behaviors with greater efficacy and fewer false positives. Vectra delivers a higher fidelity signal and much lower noise than Stealthwatch, which uses a low-resolution data source, NetFlow. Vectra applies the optimal machine learning models to security-enriched metadata. NetFlow data is only optimized for network performance monitoring and diagnosis (NPMD) and lacks the requisite resolution and the details needed for threat detection. 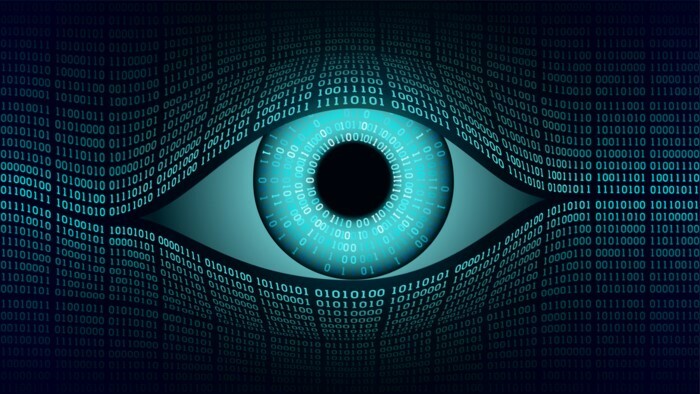 The Cognito platform and Stealthwatch both combine the detection of hidden threats using AI with the detection of known threats using high-quality IoCs. However, Stealthwatch machine-learning detections are lower quality because the data source is NetFlow and not network metadata. Stealthwatch generates a high volume of false positives compared to the specific attacker-behavior detections of the Cognito platform. Vectra delivers a greater reduction in the security operations workload by triaging and correlating security alerts into incidents, prioritizing hosts with incidents, and providing PCAPs for incident investigations and forensics. Stealthwatch alerts must be individually triaged, which increases the security operations workload. Vectra empowers security operations teams to address all workloads and devices that may be impacted by a cyberattack, which speeds-up response time and reduces the overall security operations workload. With Stealthwatch, security analysts must manually correlate hosts with similar alerts to understand the scope of an attack, which delays response and increases risk to an organization. Vectra delivers complete enterprise coverage from cloud and data center workloads to user and IoT devices using the broadest set of machine learning algorithm, leaving attackers with nowhere to hide. Vectra empowers organizations to embrace hybrid cloud architectures with purpose-built detection models for securing workloads on-premises and in the cloud. 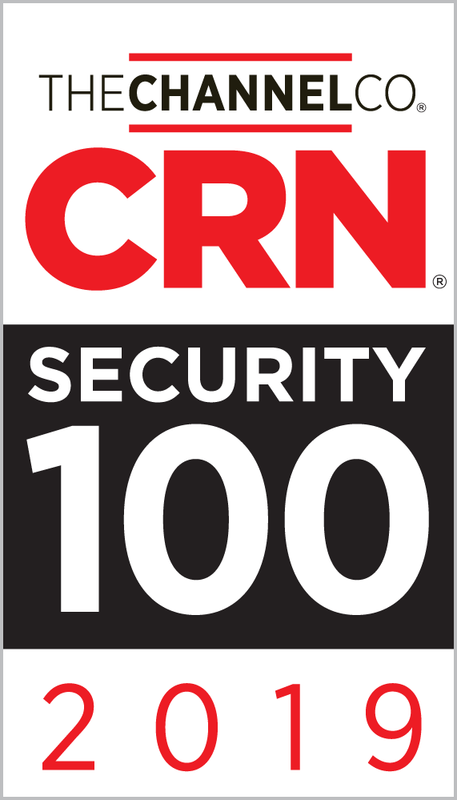 Stealthwatch simply applies the same generic detection models it uses for IoT and user devices to NetFlow information from the data center and flow-based data from cloud service providers. Vectra delivers the agility to respond appropriately based on the threat detected. Vectra can immediately integrate into an enterprise’s security architecture, enabling existing endpoint, NAC and firewall security to block new classes of threats and provide the best starting point for an investigation in a SIEM or their data lake. Stealthwatch integrations with the Cisco Identity Services Engine (ISE) to quarantine hosts, but they do not integrate with security solutions from other vendors, locking customers into a Cisco-only solution. Vectra delivers a platform for both network detection and response (NDR) with Cognito Detect, Cognito Recall and Cognito Stream. 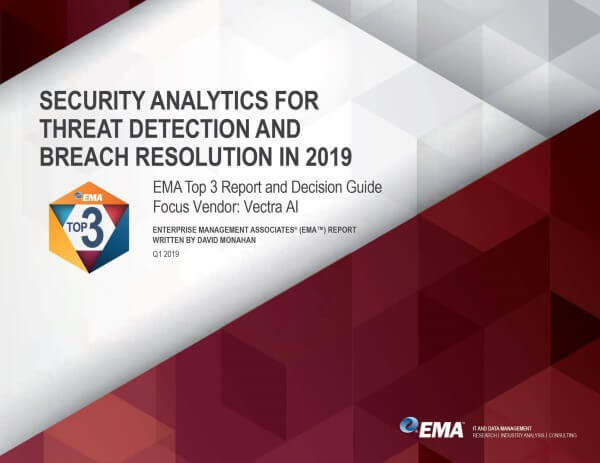 Vectra has the longest tenure and greatest investment in the development of AI for detecting attacker behaviors as well as collecting and enriching metadata for threat hunting and incident investigations. Stealthwatch only saves on-demand PCAPs (full PCAP is not supported), which significantly limits threat hunting and incident investigations. Stealthwatch cannot send PCAPs to a data lake, use your existing Zeek tooling or build custom queries with tools like Elasticsearch. 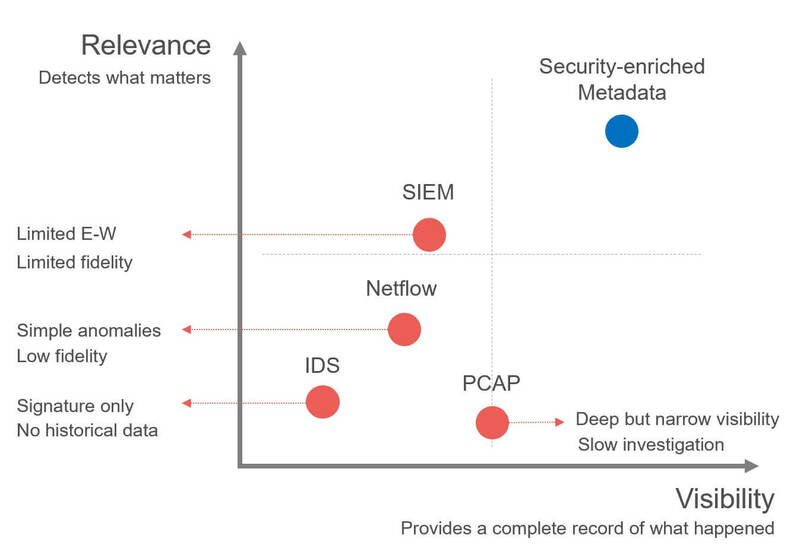 Network metadata contains vital descriptors of the data itself to create a searchable index in real time and at a fraction of the size of full packet captures. Metadata as a source is the right data type, but used alone it lacks indicators of compromise that show analysts where to hunt. Enrichment techniques, used to identify data such as host ID and beaconing, are employed to augment network metadata. This data cocktail is essential to quickly identify threat activity in security event messages and conduct more conclusive incident investigations. NetFlow is network performance monitoring data remarketed for security. It shows connections that were made but does not show what these connections were used for. Network detection requires details, such as whether an SMB connection was used to authenticate a user, mount a share or execute code. NetFlow does not provide these details, rendering it blind to network visibility and incapable of detecting threats. Network packets provide deep network visibility but are difficult and expensive to scale. The sheer amount of packets causes slow search performance that makes incident investigations frustratingly painful. 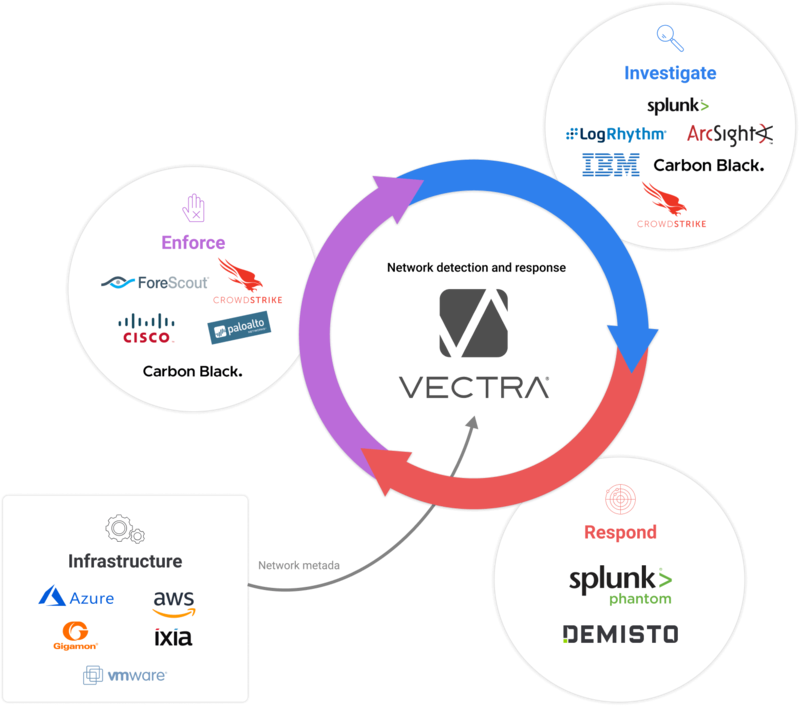 "Vectra is one of three vendors that really stand out in this evaluation by their ability to link current threat events to historical events and to identify low and slow attacks. Vectra proves a strong competitor to much larger rivals," according to the EMA Radar summary. There are numerous techniques for creating algorithms that are capable of learning and adapting over time. Broadly speaking, we can organize these algorithms into one of three categories: Supervised, unsupervised and reinforcement learning. Machine learning is the technique, not the objective. This is critically important as more tools leverage and advertise machine learning for threat detection. Unlike Vectra, other vendors use a small subset of machine learning algorithms to solve a problem. 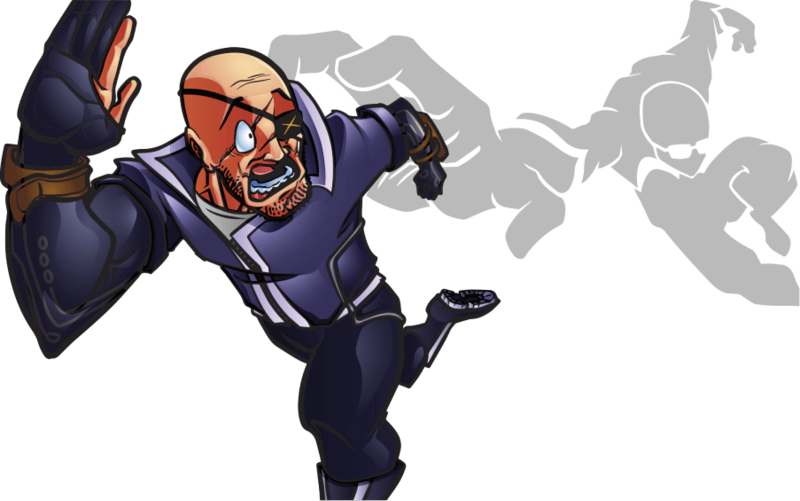 Specific attacker behaviors require different applications of machine learning. The goal of supervised machine learning is to learn a functional mapping between the input space that the data is drawn from to a desired or target space that describes the data. 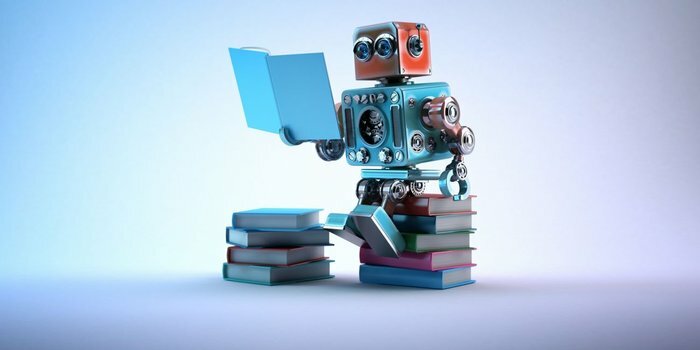 In contrast, unsupervised machine learning refers to scenarios in which an algorithm or agent must learn from raw data alone, without any feedback or supervision in the form of target values. This often means learning to group together similar examples in the data – a task known as clustering – or learning something about the underlying distributions in the input space from which the data are drawn. You can read more about supervised and unsupervised machine learning in our dedicated blog post on how algorithms learn and adapt. Deep learning refers to a family of machine learning algorithms that can be used for supervised, unsupervised and reinforcement learning. A neural network is presented with some input, and activity propagates throughout its series of interconnected neurons until reaching a set of output neurons. These output neurons determine the kind of prediction the network makes. You can read more about deep learning in our dedicated blog post about neural networks and deep learning. Just like no single algorithm can solve every problem, no single method can find every threat. Vendors who apply a single algorithmic approach run the risk of drowning a few good detections in a massive flood of false positives. Conversely, machine learning is overkill when a simple list of indicators of compromise (IoCs) could suffice, such as detecting known malicious IP or URL addresses. "Vectra is focused on core steps in the cyberattack kill chain with high accuracy of detections and the ability to provide a high-fidelity signal," according to the new IDC Innovator assessment. Deciding where to focus an analyst's time and how to respond requires an understanding of the assets impacted and the risk to your business. You want your vendor’s solution to roll up a chain of events into single incidents. To understand the severity of an attack, analysts need to connect the dots of related attacker behaviors to expose the relationship between hosts across internal detections, external advanced command-and-control detections, and connectivity to common command-and-control infrastructures. The automation of security event handling doesn’t require AI – at least not the kind or level of AI that we anticipate will cause a global economic and employment transformation. It is imperative to prioritize the risk level of hosts, including workloads, servers and IoT. This ensures that analysts are responding to the highest risks first to reduce the total cost and risk of a breach. The goal should be to reduce the workload so an analyst can focus on the events that matter most. Part of that means providing human-readable outputs from machine learning algorithm detections, including PCAP and guidance on what a detection means and what next steps an analyst should take to verify and respond. As attackers perform reconnaissance and move laterally from host to host in a network, their behaviors need to be correlated across all involved hosts and detections to present a view of the entire attack campaign. Don’t expect the pace of change to slow down in the cybersecurity industry. Even the so-called traditional protection methods will need to incorporate new technologies and methodologies. Many new cybersecurity programs will span multiple categories, or even resist neat categorizations at all. Data center and cloud security goes beyond virtualization or perimeter detection and needs to include the underlying infrastructure and low-level tools used to manage workloads. You may want to consider a technology that provides threat detection that extends from the application layer down to the underlying hardware. For example, a port knocking detection may reveal servers that are compromised by a rootkit, which could reside below the physical operating system itself. In addition, monitoring and detecting the improper use of low-level management protocols such as IPMI and iDRAC are critical. Normally used by administrators for infrastructure-lights-out management of server hardware, these protocols are increasingly targeted by attackers because they open a persistent backdoor into the virtual environment, yet are not logged and are rarely monitored by security. “Vectra continues to raise the bar in AI-driven threat detection and is expected to maintain its growth on the strength of its cutting-edge Cognito platform,” according to the new Frost & Sullivan report. Not every attack is the same and not every response should be the same. An AI platform should provide intelligence to existing infrastructure to reduce the time to respond. More importantly, you should expect an AI platform to enable the correct response. You should expect integration to be simple and straightforward. A complex deployment will erode any benefits you hoped to gain. Integration can occur through APIs, outbound events or automation platforms that provide standardization between products. The Cognito platform from Vectra integrates with an ecosystem of security technologies to fight cyberattacks. Vectra also offers API tools that save time and repetitive work using a Python library that simplifies interaction with the Vectra API, scripts that can be run from the command-line, and additional resources. Vectra delivers a complete platform for network detection and response with Cognito Detect, Cognito Recall and Cognito Stream. 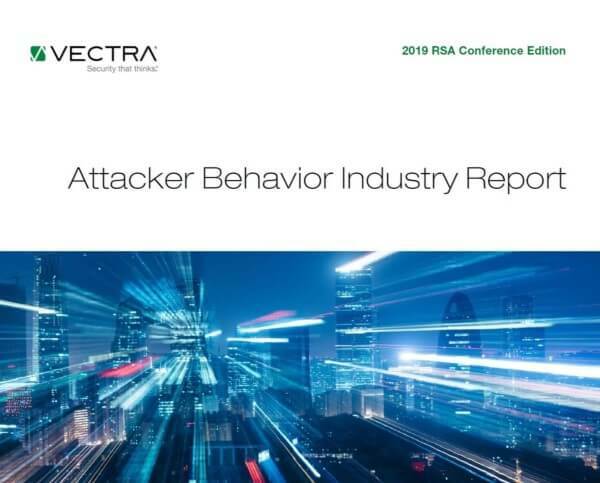 Vectra has the longest tenure and greatest investment in the development of AI for detecting attacker behaviors as well as collecting and enriching metadata for threat hunting and incident investigations. Darktrace saves a limited amount of metadata (less than two weeks based on packet volume) and cannot send metadata to data lakes using existing Zeek (Bro) tooling and does not allow you to build custom queries with tools like Elasticsearch. ExtraHop saves a finite amount of full PCAPs (e.g., hours to days depending on packet volume) and cannot send PCAPs to data lakes, use existing Zeek (Bro) tooling or build custom queries with tools like Elasticsearch. Stealthwatch saves on-demand PCAPs (full PCAP is not supported), which significantly limits threat hunting and incident investigations. Stealthwatch cannot send PCAPs to a data lake, use your existing Zeek tooling or build custom queries with tools like Elasticsearch. The Cognito platform accelerates customer threat detection and investigation using sophisticated artificial intelligence to collect, store and enrich network metadata with the right context to detect, hunt and investigate known and unknown threats in real time. Of all the products we've tested in this category, this one is the least prone to false positives. It also focuses on detections that are relevant to our industry and our environment whereas many other products we've seen do not. Seven months in, we're very happy with the performance of the product. Cognito allows for outstanding response times due to the high quality alerts, industry leading user interface and resulting ease of use. Our Analysts love the product! World Class Delivery Team. Exceptional Product, Clarity And Efficiency At The Core.